First and foremost, I'm thankful to the Lord for allowing me to see another year with my friends and family in good health. I'm thankful for not only having a job in this down economy that allows me to provide for my family but also for having the type of job that I worked hard in law school to achieve. And I'm thankful for everybody on the blog and all the good debates that we have had over the years. Here's to many more. I am happy to be alive and have all of my faculties. As a veteran, I empathize with the families of those who didn't return home. I am also thankful that my family members are healthy and happy. Lastly, I am thankful to have met such wonderful people at The Urban Politico. HAPPY THANKSGIVING! I am thankful to have a job when so many people in my industry do not. I am thankful to have an outlet to write at The Urban Politico. I am thankful to have my family. I'm thankful for all that God has blessed me with. Love, happiness and lots of laughter. These characteristics manifest themselves in my friends, family and soon to be family. I'm happy to be doing what I love and with such a great group of people. Happy Thanksgiving! I am thankful for being blessed to see another year. For recent doors opening for me that did not have to be opened. I am thankful for my health and for my family and friends. I am thankful for having great blog partners who are smart and thoughtful. I am thankful for having 2 of the most beautiful children one could possibly have! I am thankful for being who I am, despite my many mistakes, I am mostly thankful that God continues to give me another chance to fix them! 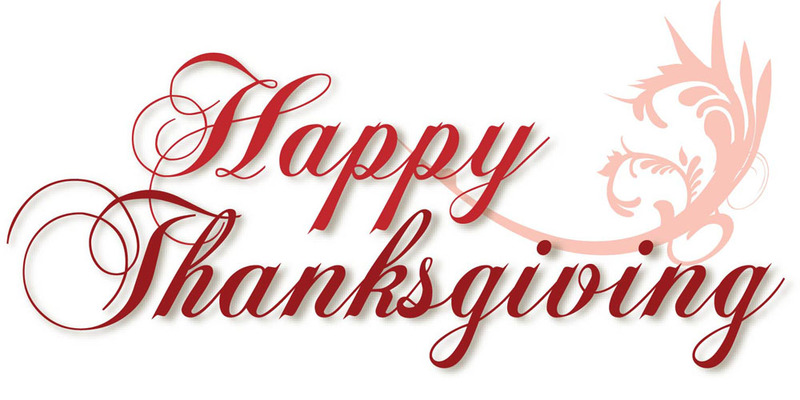 This Thanksgiving I am extremely grateful for life, good health and happiness. God has allowed me to see another year and for this I am eternally grateful. I am blessed with an imperfect but caring and supportive family. I'm blessed with friends who are honest and loyal, and mentors who provide me guidance. I am thankful for my wonderful job, my apartment and my ability to give back to my community. 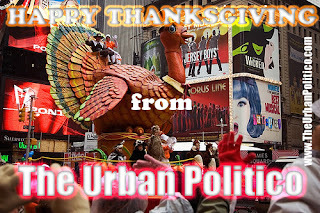 To The Urban Politico family and my wonderful blog partners, I am grateful for this outlet we have to express our various views and inform people around the world. I'm truly blessed. I have great friends and family. I am thankful for where life has brought me and I look forward to what lies ahead. I'm thankful for having my health, and a career which allows me the ability to provide for me and mine. Happy Thanksgiving to you all. May you have peace in your life and in your homes.